Welcome to the Literature class blog! How is the blog organized? There is also a category with tips for writing and to publish essays you write so we can all read and share our work. When and what for is the blog used? We are going to use this blog to learn, teach, create, inspire, and produce knowledge. 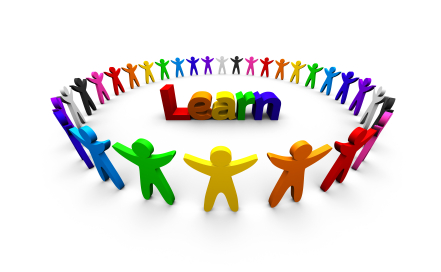 We´ll also use this blog to be connected, to share knowledge with the rest of the world and to share what we do in class with other students and our family. I post activities for you to work on in class, sometimes activities for you to do as homework and also, the final outcome of your own creations and productions. I am in charge of posting activities for you to to do in class or at home. Sometimes, you will make posts, too and of course, I expect you to comment on the work done by your classmates and on my posts, as well. This speech deals with the phenomenon of post-colonialism. It presents general definitions of the post-colonial theory and provides some information about its development as well as illustrating background knowledge about basic landmarks of India’s colonial past. It then concentrates on the post-colonial development of India which was a British colony until 1947. Post-colonialism is an intellectual direction (sometimes also called an “era” or the “post-colonial theory”) that exists since around the middle of the 20th century. It developed from and mainly refers to the time after colonialism. The post-colonial direction was created as colonial countries became independent. Nowadays, aspects of post-colonialism can be found not only in sciences concerning history, literature and politics, but also in approach to culture and identity of both the countries that were colonised and the former colonial powers. However, post-colonialism can take the colonial time as well as the time after colonialism into consideration. The term “decolonisation” seems to be of particular importance while talking about post-colonialism. In this case it means an intellectual process that persistently transfers the independence of former-colonial countries into people’s minds. The basic idea of this process is the deconstruction of old-fashioned perceptions and attitudes of power and oppression that were adopted during the time of colonialism. First attempts to put this long-term policy of “decolonising the minds” into practice could be regarded in the Indian population after India became independent from the British Empire in 1947. However, post-colonialism has increasingly become an object of scientific examination since 1950 when Western intellectuals began to get interested in the “Third World countries”. In the seventies, this interest lead to an integration of discussions about post-colonialism in various study courses at American Universities. Nowadays it also plays a remarkable role at European Universities. A major aspect of post-colonialism is the rather violent-like, unbuffered contact or clash of cultures as an inevitable result of former colonial times; the relationship of the colonial power to the (formerly) colonised country, its population and culture and vice versa seems extremely ambiguous and contradictory. This contradiction of two clashing cultures and the wide scale of problems resulting from it must be regarded as a major theme in post-colonialism: For centuries the colonial suppressor often had been forcing his civilised values on the natives. But when the native population finally gained independence, the colonial relicts were still omnipresent, deeply integrated in the natives’ minds and were supposed to be removed. So decolonisation is a process of change, destruction and, in the first place, an attempt to regain and lose power. While natives had to learn how to put independence into practice, colonial powers had to accept the loss of power over foreign countries. However, both sides have to deal with their past as suppressor and suppressed. This complicated relationship mainly developed from the Eurocentric perspective from which the former colonial powers saw themselves: Their colonial policy was often criticised as arrogant, ignorant, brutal and simply naïve. Their final colonial failure and the total independence of the once suppressed made the process of decolonisation rather tense and emotional. Post-colonialism also deals with conflicts of identity and cultural belonging. Colonial powers came to foreign states and destroyed main parts of native tradition and culture; furthermore, they continuously replaced them with their own ones. This often lead to conflicts when countries became independent and suddenly faced the challenge of developing a new nationwide identity and self-confidence. As generations had lived under the power of colonial rulers, they had more or less adopted their Western tradition and culture. The challenge for these countries was to find an individual way of proceeding to call their own. They could not get rid of the Western way of life from one day to the other; they could not manage to create a completely new one either. On the other hand, former colonial powers had to change their self-assessment. This paradox identification process seems to be what decolonisation is all about, while post-colonialism is the intellectual direction that deals with it and maintains a steady analysis from both points of view. So how is this difficult process of decolonisation being done? By the power of language, even more than by the use of military violence. Language is the intellectual means by which post-colonial communication and reflection takes place. This is particularly important as most colonial powers tried to integrate their language, the major aspect of their civilised culture, in foreign societies. A lot of Indian books that can be attached to the era of post-colonialism, for instance, are written in English. The cross-border exchange of thoughts from both parties of the post-colonial conflict is supported by the use of a shared language. To give a conclusion of it all, one might say that post-colonialism is a vivid discussion about what happened with the colonial thinking at the end of the colonial era. What legacy arouse from this era? What social, cultural and economical consequences could be seen and are still visible today? In these contexts, one examines alternating experiences of suppression, resistance, gender, migration and so forth. While doing so, both the colonising and colonised side are taken into consideration and related to each other. The main target of post-colonialism remains the same: To review and to deconstruct one-sided, worn-out attitudes in a lively discussion of colonisation. In the 16th century, European powers began to conquer small outposts along the Indian coast. Portugal, the Netherlands and France ruled different regions in India before the “British East India Company” was founded in 1756. The British colonialists managed to control most parts of India while ruling the key cities Calcutta, Madras and Bombay as the main British bases. However, there still remained a few independent regions (Kashmir among others) whose lords were loyal to the British Empire. In 1857, the first big rebellion took place in the north of India. The incident is also named “First war of Indian Independence”, the “Sepoy Rebellion” or the “Indian Mutiny”, depending on the individual perspective. This was the first time Indians rebelled in massive numbers against the presence and the rule of the British in South Asia. The rebellion failed and the British colonialists continued their rule. In 1885, the “National Indian Congress” (popularly called “Congress”) was founded. It demanded that the Indians should have their proper legitimate share in the government. From then on, the Congress developed into the main body of opposition against British colonial rule. Besides, a Muslim anti-colonial organisation was founded in 1906, called the “Muslim League”. While most parts of the Indian population remained loyal to the British colonial power during the First World War, more and more Muslim people joined the Indian independence movement since they were angry about the division of the Ottoman Empire by the British. The non-violent resistance against British colonial rule, mainly initiated and organised by Mahatma Gandhi and Jawaharlal Nehru, finally lead to independence in 1947. At the same time, the huge British colony was split into two nations: The secular Indian Union and the smaller Muslim state of Pakistan. The Muslim League had demanded for an independent Muslim state with a majority of Muslims. India became a member of the British Commonwealth after 1947. The Partition of India (also called the “Great Divide”) lead to huge movements and an ethnic conflict across the Indian-Pakistani border. While around 10 million Hindus und Sikhs were expelled from Pakistan, about 7 million Muslims crossed the border to from India to Pakistan. Hundreds of thousands of people died in this conflict. Ever since these incidents, there have been tensions between India and Pakistan which lead to different wars particularly in the Kashmir region. For decades the Congress Party ruled the democratic country which had become a republic with its own constitution in 1950. In 1977 the opposition gained the majority of votes. In 1984, after the Congress Party had regained the majority, conflicts with the cultural minority of the Sikhs lead to the assassination of the Indian prime minister Indira Ghandi. Today, apart from the significant economic progress, India is still facing its old problems: Poverty, overpopulation, environmental pollution as well as ethnic and religious conflicts between Hindus and Muslims. Additionally, the Kashmir conflict has not come to an end yet, while both Pakistan and Indian are threatening each other with their arsenals of atomic weapons. Concerning post-colonial literature, Edward Said’s book “Orientalism” (published in 1978) is regarded as the beginning of post-colonial studies. In this book the author analyses how European states initiated colonialism as a result of what they called their own racial superiority. The religious-ethnic conflicts between different groups of people play an important role in the early years of post-colonialism. Eye-witnesses from both sides of the Indian-Pakistani conflict wrote about their feelings and experience during genocide, being confronted to blind and irrational violence and hatred. The Partition is often described as an Indian trauma. One example for a post-colonial scriptwriter who wrote about this conflict is Saddat Hasan Manto (1912 – 1955). He was forced to leave Bombay and to settle in Lahore, Pakistan. He published a collection of stories and sketches (“Mottled Dawn”) that deal with this dark era of Indian history and its immense social consequences and uncountable tragedies. Furthermore, there are many different approaches to the topic of intercultural exchange between the British and the Indian population. Uncountable essays and novels deal with the ambiguous relationship between these two nations. One particularly interesting phenomenon is that authors from both sides try to write from different angles and perspectives and in that way to show empathy with their cultural counterpart. The most famous novelist who wrote about these social and cultural exchanges is Salman Rushdie. Rushdie, who won the booker prize among various others, was born in India, but studied in England and started writing books about India and the British in the early eighties. His funny, brave, metaphoric and sometimes even ironical way of writing offers a multi-perspective approach to the post-colonial complex. This can be also seen in his book “Midnight’s Children”. In the past, Salman Rushdie was also repeatedly threatened by Irani fundamentalists because of his critical writing about Muslim extremism in the Middle East. Another famous post-colonial novel is “Heat and Dust” (published in 1975) by Ruth Prawer Jhabvala that contains two plot set in different times: One about a British lady starting an affair with a local Indian prince in the 1920s, the other one set in the 1970s, featuring young Europeans on a “hippie trail” who claim they have left behind Western civilisation and are trying to some spiritual home among Indian gurus. “Bollywood” has become a notorious synonym for the uprising Indian film industry in recent years. Young Indian scriptwriters have discovered post-colonial issues as themes for their movies and as a way of dealing with the changeful past of their country. Concerning the integration of Western values in the Indian population and culture, one can say that the British influence is still omnipresent in the Asian subcontinent. The reason for this can be also found in the persistence of the English language. Many Indians are conversant with the English language, because the British colonialists intended to export their values and culture by teaching the Indian population their language. This was regarded as the basic fundament for further education. What about the relationship between India and the United Kingdom today? It is a special one, and of course still not without tensions between these two nations that refer to the time of colonialism which from our retro perspective is not at all so far away. India has managed to become an independent state with its own political system and is still working to find its own identity. The longer the process of decolonisation lasts, the more we get the impression that only a middle course between the acceptance of British legacies and the creation of a new unique Indian self-confidence will be the right way to go for India.